I was very pleased and encouraged by the Arsenal players' performance against Crystal Palace. They moved the ball about very quickly, hunted the opponents all over the pitch and counter attacked with pace and venom (hence the scorpion kick...). The urgency shown was something that was distinctly missing from previous recent performances with the known negative results. However this will be difficult to replicate against Bournemouth as this game comes only 50 hours since the final whistle of the Palace game. I watched the Sunderland vs Liverpool game and it was obvious that Liverpool looked tired and off the pace which allowed Sunderland to gain a good foothold in the game. 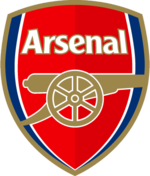 The Arsenal players looked tired against Everton on the Tuesday after having played Stoke three days before on a Saturday (a game which came four days after the away Basle game). They again looked even more tired, especially in the second half against Man City, a game played five days later on a Sunday. Taking this into account I would expect that for a game coming after about a day and a half since the last one that jadedness will be a major factor affecting the players performance. Arsene Wenger will therefore have to introduce fresh legs but at the same time keeping the core important players so as to avoid disrupting the rhythm of the team. Lets start with the undroppables. In defence Cech, Koscienly, Monreal (as Gibbs is injured and not ready yet) and Bellerin. The major decision here is whether to keep Gabriel or bring Mustafi in. I think Wenger will play Gabriel so as to keep the same defence, who have not conceded in 2 games, together but also to make sure that Mustafi is fully recovered from his hamstring. In midfield Xhaka with his excellent performance against Palace should keep his place. Elneny is away and I fully expect that Coquelin will come in. On the wing I don't see Walcott making a comeback as he has been out for a few weeks and in any case I don't think he has been declared fit yet. Sanchez is undroppable full stop and so is Giroud. There is therefore only one other place left and this will be between Ramsey, the Ox and Perez. The latter two have a better chance to start as they are faster and more fit than Ramsey who is only coming back from an injury. The boss will want to select a pacy winger as our counter attacking has been a feature that has worked well recently. Perez did well vs Palace but he is very one footed and since he cannot play on the left, as Sanchez operates so well from there, I can't see him starting. The Ox will also bring fresh legs in the team. Usually it's the 30 and over players that are more willing to try their fortunes abroad but on this occasion Arsenal Academy youngster Ben Sheaf is set to move to Omonia Nicosia in Cyprus. It is not yet clear if this is going to be on loan terms or an outright acquisition by the Cypriot club who currently sit 5th 10 points behind the leaders. The most probable will be a loan deal. Omonia's manager is none other than John Carver the ex Newcastle coach and manager who managed to keep the North East club up in his last season. And the Director of Football is Nicos Dabizas, yes the defender Dennis Bergkamp waltzed round to score THAT GOAL (which I consider much better than Giroud's scorpion kick). The deal is not yet done so we will keep you informed.